The Government of Ontario has launched data strategy consultations to gather information to create a provincial strategy to address concerns around personal data collection, privacy and security. 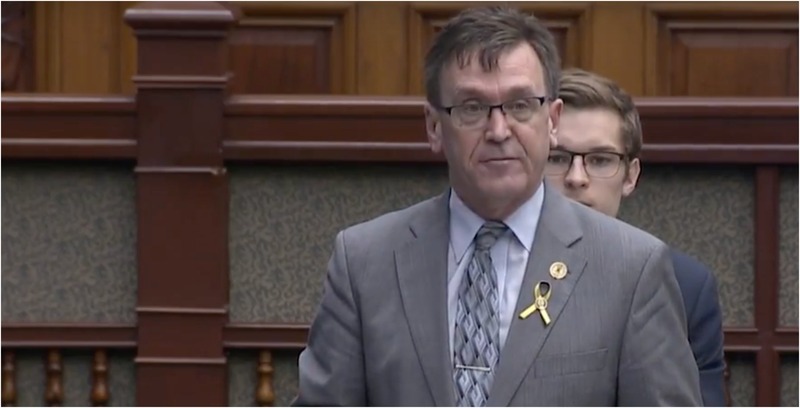 Progressive Conservative MPP Bill Walker, who is also the Ontario Minister of Government and Consumer Services, said during an announcement in Waterloo, Ontario that the government is “seeking to get a better understanding” of how the government is able to drive innovation by protecting data at the same time. “Our government recognizes the tremendous potential of emerging data technologies, and we’re seeking to get a better understanding of how we can drive innovation and unlock economic opportunities for people and businesses across the province,” Walker said in emailed responses to MobileSyrup. He noted that some practices of data collection these days are shaping a lot of key decisions regarding health, finances and education. “Our homes, workplaces, and cities are increasingly filled with internet-enabled devices that help make our lives easier while collecting and sharing data for various purposes,” he said. The public can participate in the consultation through an online survey until March 7th. Walker said that the consultations will focus on three topics: promoting public trust and confidence, creating economic benefits, and enabling a better, smarter, efficient government. The idea behind the consultations is so that the government can create a Task Force on Data; the task force will later create a draft Data Strategy document based on responses from the consultation. Walker expanded that the government will also seek further public consultations on the strategy before finalizing it. He did not tell MobileSyrup when the report will be final and did not say when consultations will end but said that they will continue throughout 2019. Benjamin Bergen, executive director of the Council of Canadian Innovators, welcomed Tuesday’s announcement and said it would benefit its members. the CCI represents over 100 of Canada’s fastest growing companies. “If Canada is to be a leader in the data-driven economy, we need policies that enable domestic innovators to capture the scale and scope of data generated by Canadians, which will cause more businesses to be more innovative, create more jobs and generate wealth in Canada. “Our members are hopeful the government will work with them to develop an Ontario data strategy that will enable Ontario to become a leader in the data-driven global economy,” Bergen said to MobileSyrup. Update 05/02/19 1:59 pm: The article was updated with a quote from the Canadian Council of Innovators.